This page contains a guide on how to get married in Harvest Moon: Light of Hope. 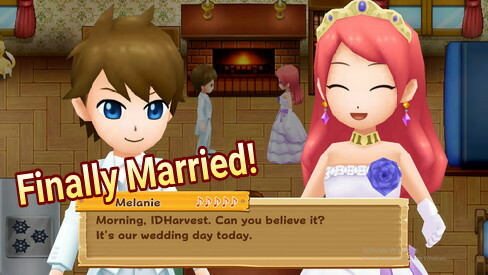 Married and build a family has always been one of the main goals of Harvest Moon. Same as when you playing Harvest Moon: Light of Hope. I don't understand why, but maybe, there is someone feeling lonely right now. I am just kidding, haha. 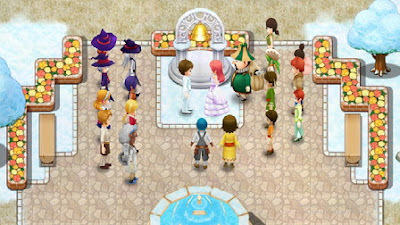 However, to get married in Harvest Moon: Light of Hope is not as easy as completing the main storyline. Because it takes some requirements and materials that cannot be found in a short time. So maybe it makes some players confused. Because of that, I hope this guide can help you when you want to get married in Harvest Moon: Light of Hope. Before we are going into a deeper explanation, there are few things you should know before you getting married. There are a few marriage candidates (5 males and 5 females) for the PC version. You have 3 new marriage candidates on PS4 and Nintendo Switch. They have different characters and personalities. In here, I have also added the location and time of the heart and confession event (based on my experience). Inside Florist's Shop, during the day when Dean inside. She is special marriage candidate in Harvest Moon: Light of Hope Special Edition. Special thanks to Cody Miranda for Soleil's heart events above. Confession event: in your house, when you wake up. Heart events: Same as the female version. Once you have successfully placed the 5 Stone tablets, restoring the lighthouse, and save the Beacon island, the main storyline would end. This storyline is quite short because you can get it done in Summer or Fall, year 1. Also includes you must see the heart event at least 3 times and a confession scene in order to get 4 hearts. Great Cotton Candy Cotton found from Cotton Sheep, while the Great Silky Fur produced by Silky Donkey. You can upgrade your house at Doc's architect, the first upgrade will be available immediately after you repair Doc's house. While the second upgrade (Giant house) will be available after you complete the main storyline. How to get Blue Feather I will explain below because of the terms related to each other. After the main storyline is finished, there will be some new things that are open, i.e. you can buy candy animals at Sofia's Livestock, teleportation, Big animal barn, and Giant house at Doc's Architect. The first thing you should do is upgrade the Animal Barn so you can raise more animals up to 15. But if you have enough space to buy at least 4 new animals, then you do not need to do this. After that, you must buy Candy Animals (Cotton Sheep and Silky Donkey) at Sofia's Livestock and took care of them very well, at least it produces Cotton Candy Wool and Silky Fur with great quality. These items will be used for further purposes. After getting the items mentioned above, in particularly Great Cotton Candy Wool 5x, upgrade your house for the second time. You will need 180000 G and materials like Great Cotton Candy Wool 5x, Hardwood Lumber 50x, and Adamantite 3x for this upgrade. Next, you have to get the confession event where one of the marriage candidates confesses his/her love to you. In the event, he/she'll say that he/she's really like you. After seeing that event, when you sleep, Harvest Goddess will talk about marriage in your dream. She gives you some advice to upgrade your house and find the Blue Feather. If you've upgraded your house into giant before, then your job now just stayed looking for the Blue Feather. If you haven't, you should immediately upgrade your house if you want to get the Blue Feather. Go to the beach when clear and sunny days at night, around 06:00 PM. 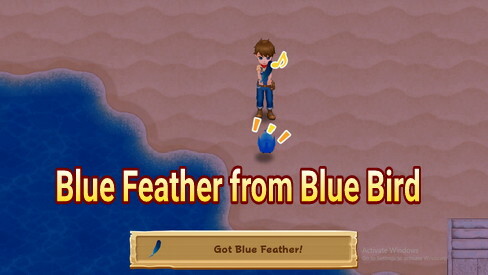 There will be a cutscene where you will be given a Blue Feather by Blue Bird. Now, you can propose one of Bachelors or Bachelorettes you love if he/she already has at least 4 pink music notes. How to propose is talk, as usual, then there will be an option that appears to propose. No need to hold the Blue Feather in your hand. Later, there will be a little talk between you and someone whom you propose. If you want to marry Melanie, before the wedding, she will be told you to give her Great Cotton Candy Wool 2x, Great Silky Fur 2x, and Orichalcum 3x. These items will be used to make the Wedding Dress and Tuxedo. If you propose another marriage candidates, you have to meet and talk to Melanie, so she is willing to make the wedding dress and Tuxedo for you with the same materials. These clothes will be finished in 7 days. You have to pick it up from Melanie when she is at the Gus's Smithy. When you have completed all the steps above, your wedding will soon be held in a few days, exactly 7 days at Beacon Town Plaza. Note: There will be several marriage events happening in your future life. 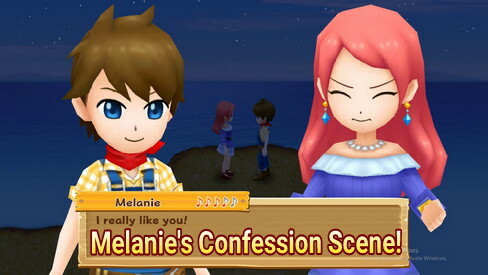 That's How to Get Married in Harvest Moon: Light of Hope, I will update this article immediately if I find new information. If you have any questions related to this article, don't hesitate to ask me via comments below.